Hello people. I’ll let you into a secret and I’ll also get some admin out of the way. 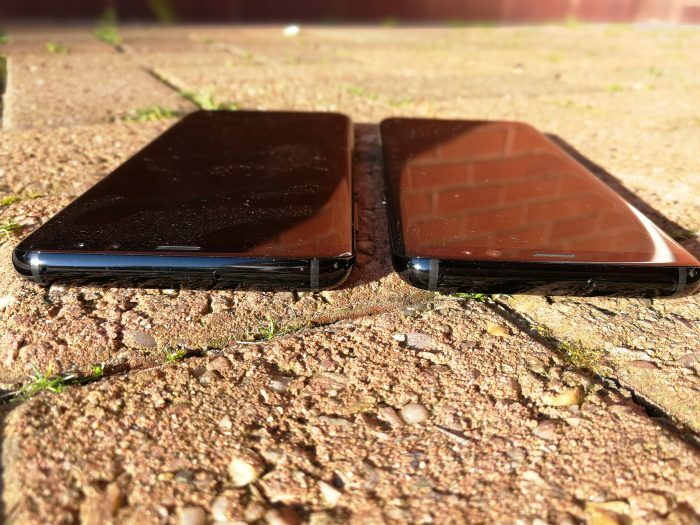 I’ve borrowed these two phones from the people at O2. Trouble is, I’ve had them for a bit longer than I originally intended, so I have to pimp O2 a little. You can get the Samsung Galaxy S8 on O2 and claim a speaker worth £119.99 with selected tariffs. The Samsung Galaxy S8+ is also available and you can upgrade yearly too. OK. I think I’ve covered everything there. Now, which one do you get? Well, it’s just the size difference really. With the S8 I can use the screen one-handed, but it’s definitely a two-handed job if you want to get near the top of the screen on the S8+. 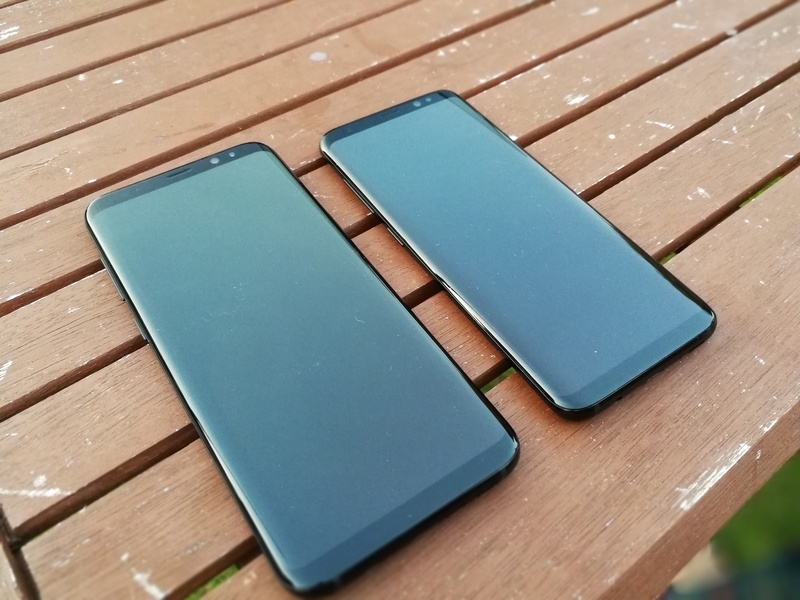 My wife has the S7 Edge and I can say that both the S8 and the S8+ feel like more complete and rounded devices. 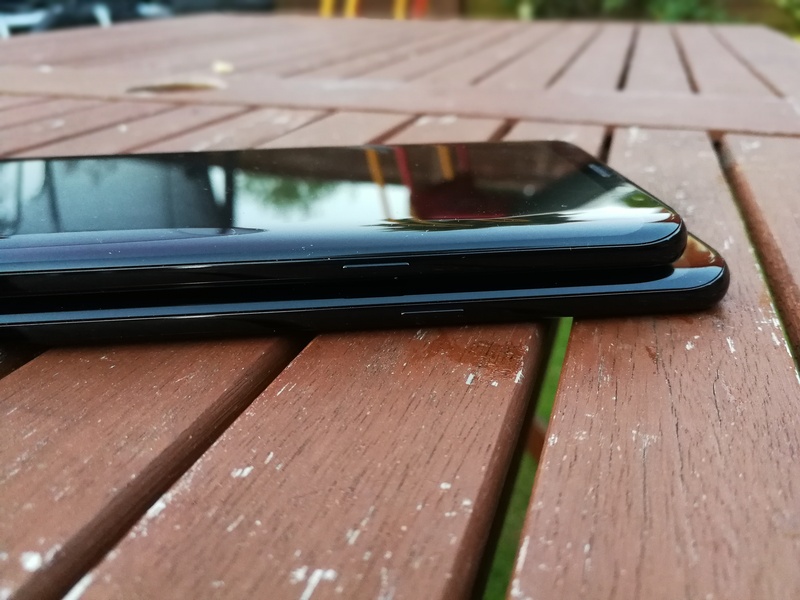 It feels less like the curved screen has been applied to the phone, and more like the phone was born with the screen and chassis as part of one unit. 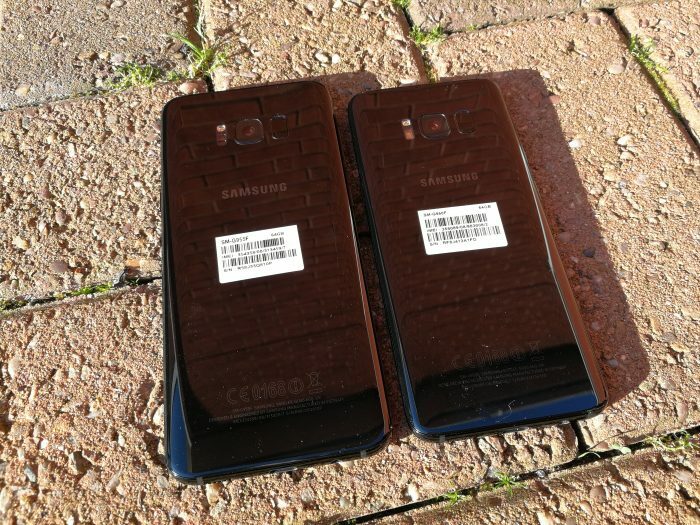 The S8 is the phone most people will be going for. 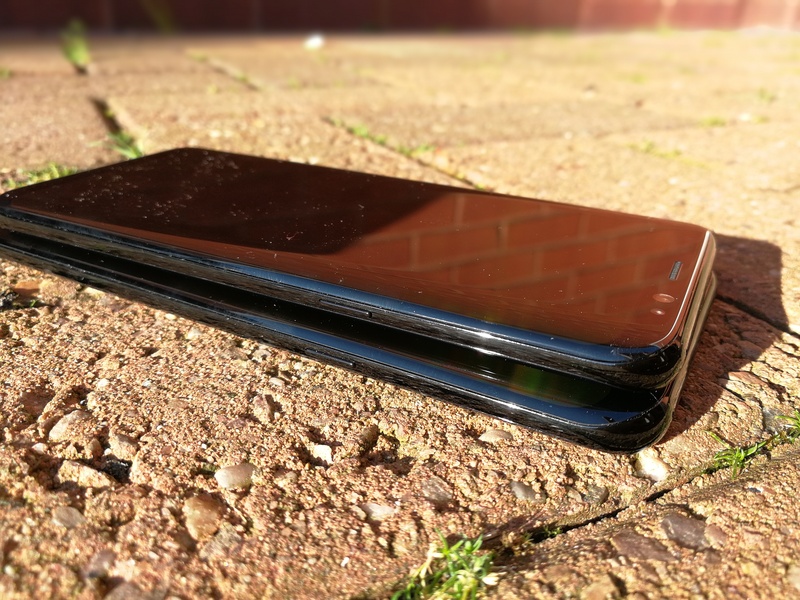 To buy it out-right it’s £689 and has a 5.8″ screen. 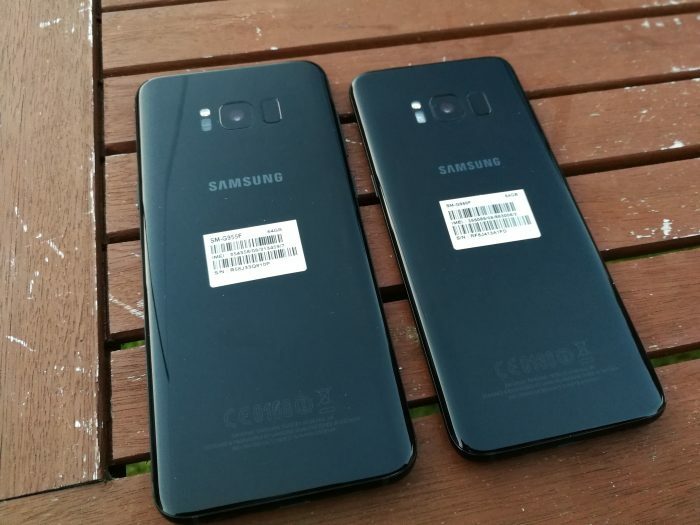 The S8+ is £779 and has a 6.2″. Both screens are 1440×2960 pixels units with between a 529 ppi (S8+) and a 570 ppi (S8) pixel density. The default screen resolution is Full HD+ but can be changed to WQHD+ in the settings. Inside both handsets you’ll find an Exynos 8895 octa-core (4×2.3 GHz & 4×1.7 GHz) CPU. 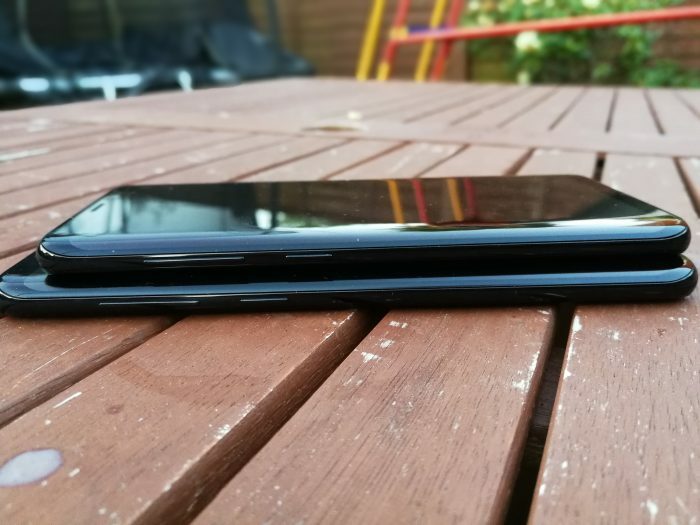 There’s 4GB RAM and 64GB of storage. Up front, an 8 megapixel camera and, at the rear, a Dual Pixel 12 megapixel unit. 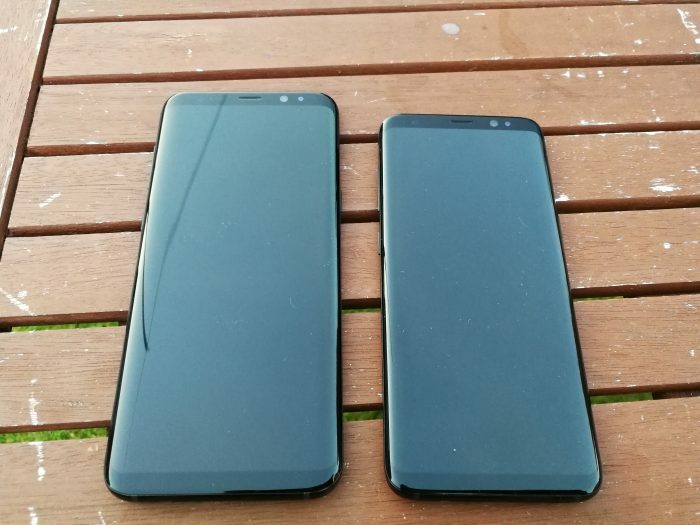 Both devices have the same design and the same colour options, with the only real difference being the size and weight. 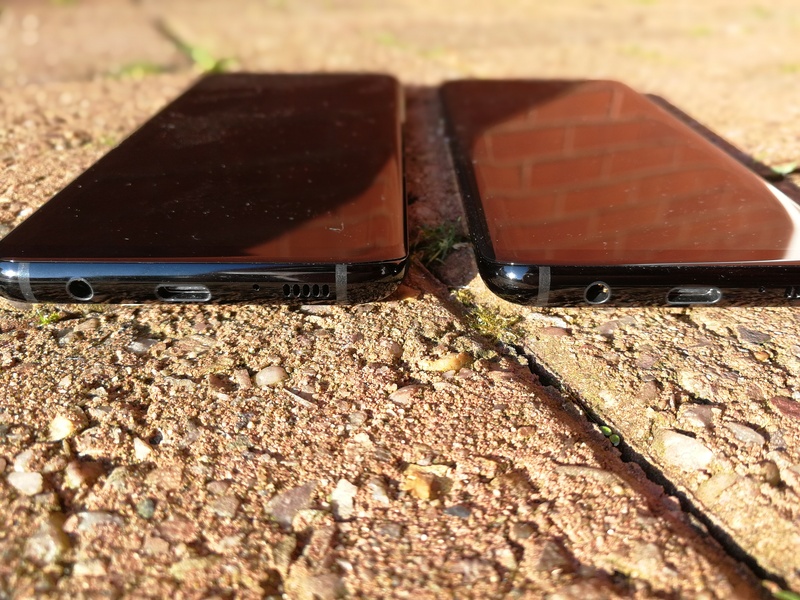 The S8 measures 148.9 x 68.1 x 8mm and weighs 155g. 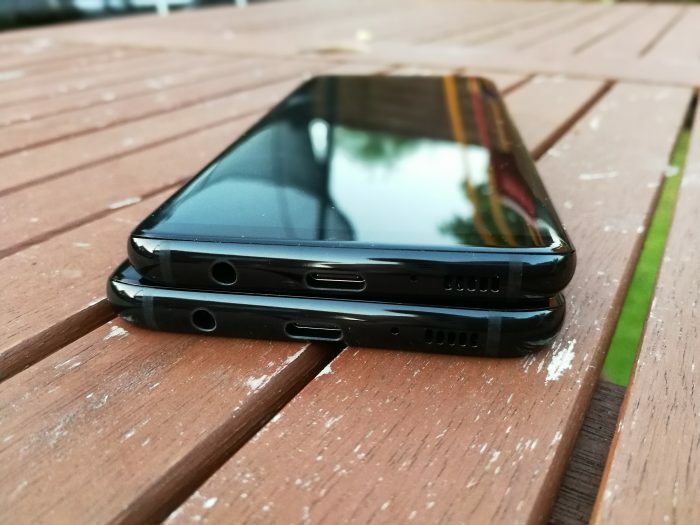 The S8+ measures 159.5 x 73.4 x 8.1mm and is 173g. Oh, and the S8 has a 3000mAh battery whereas the S8+ has a 3500mAh unit. 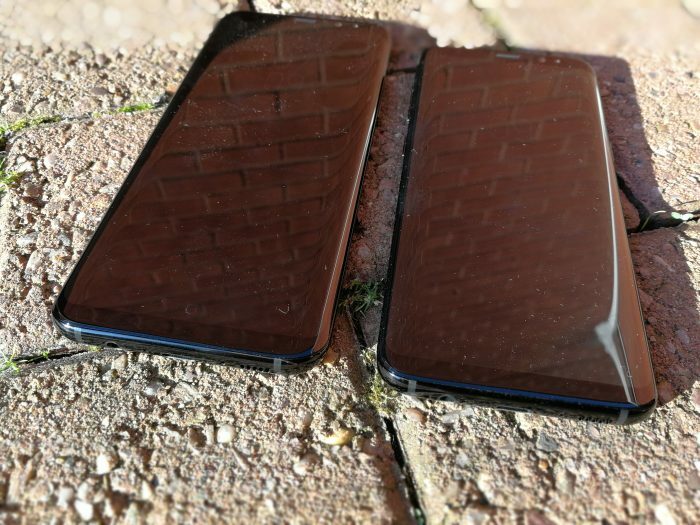 As you’ll see from these shots, there’s no home button and, as you gaze at the front of the thing, pretty much no bezel either. This is something you’ll have no doubt seen on the TV adverts for both of these phones. Both the S8 and the S8+ are still a combination of glass and metal, but – as I mentioned before – the newer models seem to be more polished and finished than the S7 edge. 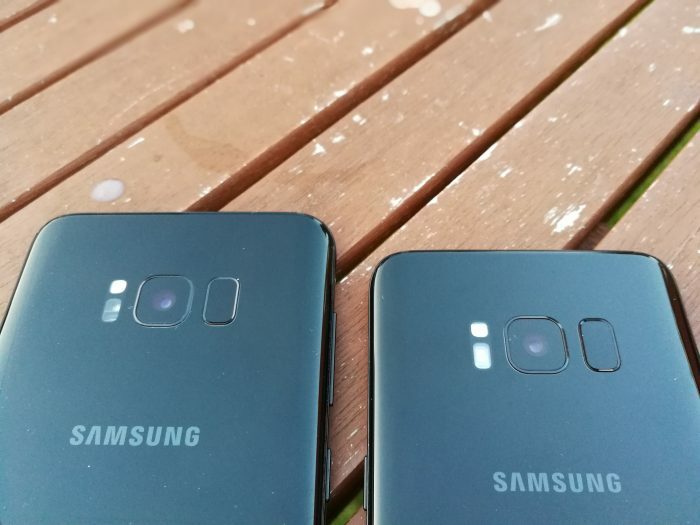 Both come with that now-familiar dual-edge Samsung “Infinity” display, and there’s no “flat” version like the S7. Around back, next to the camera, is the fingerprint sensor. 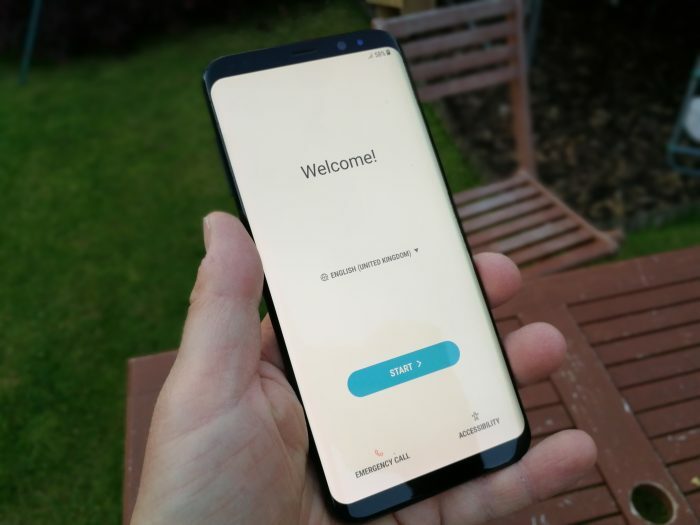 This will take a bit of getting used to as it’s right next to that lens, and you will find your finger plonking itself on the camera instead of the fingerprint sensor instead. End result? A dirty camera. 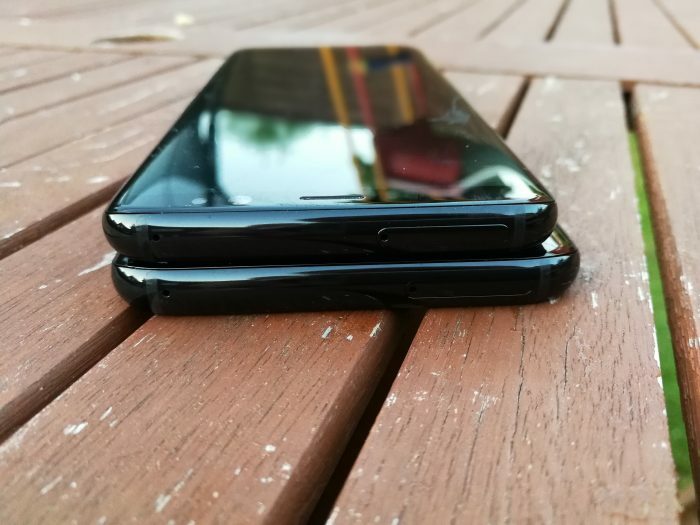 Both phones are waterproof (IP68) and have a USB Type-C charging port along with something called a “headphone jack” so that you can plug in the included AKG headphones. Powered by Android 7.0, there’s WiFi, NFC and Bluetooth – but it’s also got “Dual Audio”. This lets you connect two Bluetooth devices to the phone to play audio through the two devices simultaneously. Other features include Fast Charging on both wired and wireless charging (that’s available too). Plus, if you don’t want to use that fingerprint scanner, there’s an iris scanner and face recognition too. We’ll be bringing you a full review very soon, including a look at the Always On Display, so do check back for more.